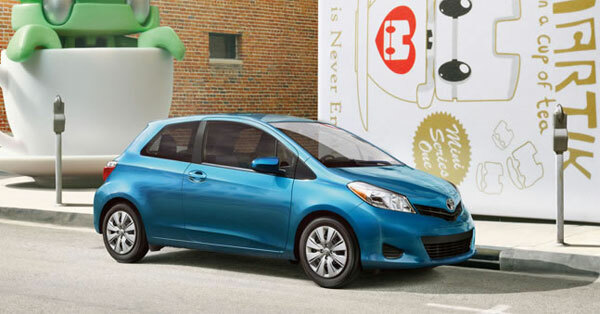 The 2012 Toyota Yaris is out there to stop you in your tracks as this new car is stunningly beautiful. The interior is compact but loaded with technological equipment. The safety features are its best. The robust engine is capable of giving power performance. Fuel efficiency is achieved and you get more miles. Let’s have a look what the new Yaris has got. The exterior of this vehicle is spectacular. The color keyed grille surround and multi- reflector halogen headlamps makes it look more exotic. The 15-inch steel wheels with wheel covers are incorporated elegantly on the sides of sturdy chassis. The roof mounted AM/FM antenna gives the car an outstanding look. The interior of the car is comfortable. The seats are fabric trimmed with the seating capacity of five people. The touch of luxury is added with metallic interior trim and black interior door handles. The cargo volume of 15.3 cubic ft. in the rear gives you the freedom to pack your luggage. The center console with storage compartment let you put your phone and important files. Also the rear seats fold down to create more space. Air conditioning in the car lets you drive calmly even in hot weather. Powerful performance is achieved with 1.5 litre4cylinder DOHC 16 valve engine. An output power of 106 HP is generated. Toyota Direct Ignition makes it ULEV-II vehicle. 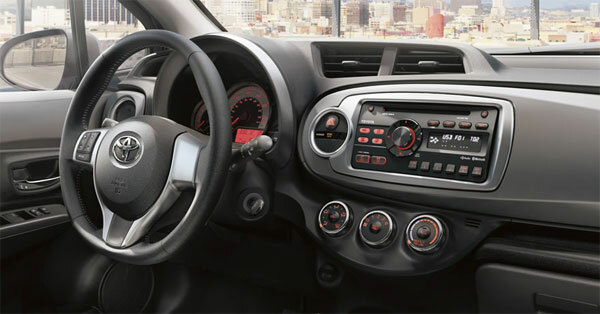 Two choices for transmission are available i-e 5- speed manual and 4-speed automatic transmission. The Front- Wheel Drive and Electronic power assist gives more control over the vehicle. An impressive EPA rating of 30 mpg in the city and 33mpg on the highway is achieved. The 11.1 gal fuel tank gives more mileage, thus giving fuel economic performance. 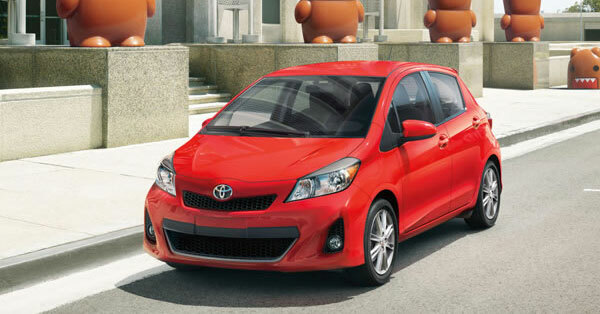 So, get our own 2012 Toyota Yaris and cruise with style.